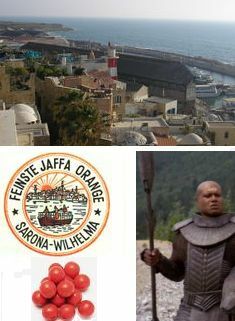 This is Jaffa, which gives its name to Jaffa oranges and to Jaffas — orange chocolate filled balls, with hard orange colored candy coating — well known to Australians and once popular at the movies. The man, it seems, is a science fiction Jaffa. JAFA is also the Japan Australia Friendship Association and doubtless other things as well. But until I read Lia Pryor’s column in the(sydney)magazine, I didn’t realise that when I visited London, I was JAFA — Just Another F—king Australian.